A civil suit against Washington Redskins linebacker Junior Galette has been dismissed, his lawyer said. Galette, 27, practiced in pads for the first time Monday, though he still avoided contact to protect a healing shoulder injury. He smiled broadly following the workout when the dismissal of the civil suit was raised. “God is good,” he said, sweat pouring off his face. “Whoever is trying to put lies against my name, it doesn't matter. The truth came out and it's unfortunate that it took this long, but it is what it is and ... the court system served me justice. 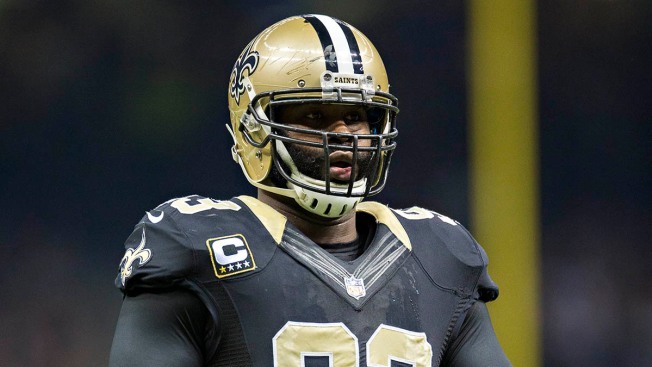 Galette was arrested in January in Louisiana after an alleged domestic dispute with a woman. Charges were dropped, but the episode remains under review by the league. The NFL also is reviewing a video that shows a man resembling Galette in a fight on a beach, and the Redskins acknowledged when they signed him on July 31 that Galette could face suspension. Even so, coach Jay Gruden said at the time, a lengthy meeting with himself, Galette, general manager Scot McCloughan and team president Bruce Allen ended with the Redskins signing him in the hopes he can help beef up their pass rush. Galette said he has been embraced by the Redskins and he was excited to finally get to practice, even on a limited basis. The 6-foot-2, 258-pound Galette had 22 sacks the past two seasons for the Saints, who named him a defensive captain and signed him to a $41.5 million, four-year contract extension in 2014. But they released him because of his off-field troubles. With Washington, he signed for the league minimum -- $745,000 for a player entering his sixth season. Galette, who stayed after practice to get some extra work in, will not travel with the team to the exhibition opener on Thursday night in Cleveland, but said he rehab is going well and his arm is feeling better.